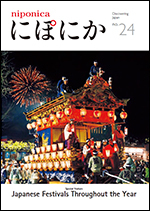 Cover: The Chichibu Yomatsuri Festival, held every year in early December in Saitama Prefecture, is one of the three major float festivals in Japan. The festival originated with the local market in this area, which is known for its silk fabrics. 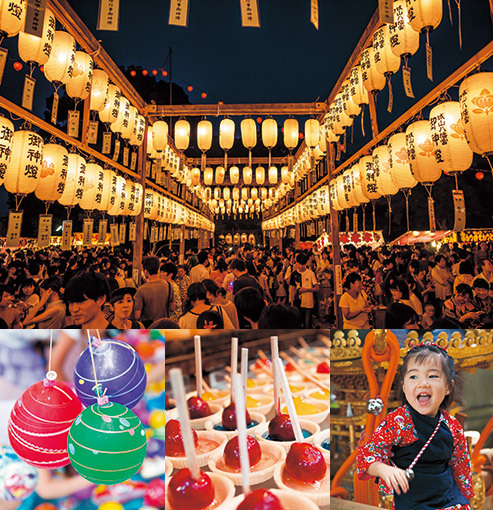 Visitors flock to see some of the most gorgeous yatai floats and fireworks in Japan. 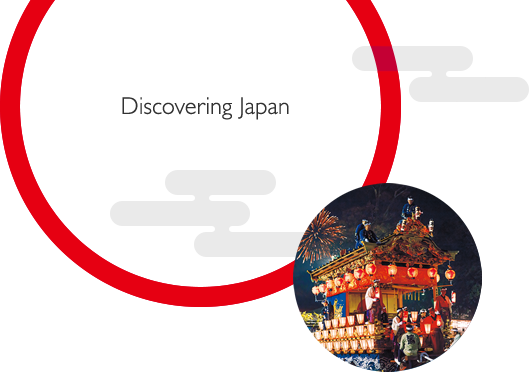 For centuries, festivals have been essential to the fabric of Japan. They are held to thank the gods for the blessings of nature and to express hope for good health. Unique festivities and rituals give each festival day a special meaning. Top: Lantern light creates the otherworldly atmosphere unique to Japanese festivals. Bottom left: The ever-popular water balloon yo-yos at a festival stall. Bottom center: Candied apricots all in a row.